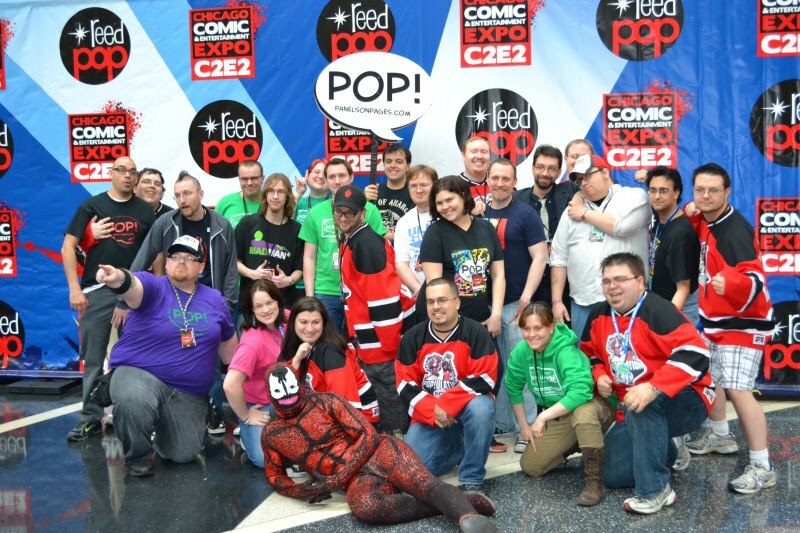 The Chicago Comic and Entertainment Expo, or C2E2 2012, hit like an Asgardian-Hulk hybrid this past weekend. As with its' previous two years, this show did not disappoint. Amazing comic creators including Dan Slott, Amanda Conner, Gail Simone, amongst others were in attendance. Some great comic news was nnounced throughout the weekend. All of which occurred in panels that I did not attend. Later on I'll touch on why I missed the panels I planned to attend. Beyond that, there was so much going on to keep you interested. Add in all the awesome costumes and it was madness. Anyone at the con on Saturday can attest to that. Just a great weekend all around. 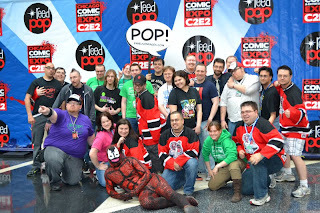 But this isn't just about C2E2, because even with all of that, the best part of the weekend was the crew from Panels on Pages and the fan collective that is the PoP!ulation. These are easily the greatest group of fans around and they make any convention better. This includes gearing up for the show as well as anything happening on the show floor. The PoP! booth with great merch and free pop rocks are always a hit with show attendees. And I can't forget 'fancy nite.' We had a ball in the Hyatt lobby and CBR bar. I love comic conventions in general and while my con trips began as solo adventures, I can honestly say that I would not have had as much fun if I hadn't joined the ladies and gentlemen of the PoP! nation. Thank you PoP! for doing what you do. From their beginnings with Wizard, the PoP! crew is quickly becoming a major brand in all things related to fandom. They cover conventions with complete professionalism. The team was so involved, you'd think they were C2E2's internal press group. Great job all around. And with that, allow me to introduce you to my nerd-family. You can't have a convention without a group shot. That'd be crazy. That's me up front as the coolest symbiote, Carnage. I almost missed the picture because I was taking pictures with other con attendees. Who would have guessed that a psychotic murderer would be so photogenic? So head on over to panelsonpages.com to join in on the fun. With so many different subjects on deck, they likely cover any interest you have. Then come on back as I'll be presenting more C2E2 content, including many photos, throughout the week. Keep it nerdy my friends. Labels: Comic Conventions, Panels on Pages, PoP! Whoa, Geno! Thanks so much for this! No prob bud. Had to show some love for the work you all have done.